Don’t try to play hide-and-seek with this supercool technology: you will definitely lose the game. 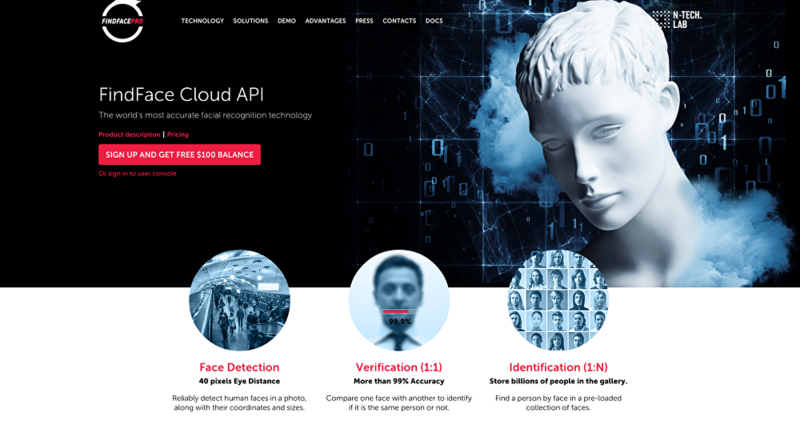 The world's most accurate face recognition technology launched by Russian start-up NTechLab in early 2016 now enters the international market and is ready to take over the world. Regina Konstantinova — FindFace is a technology that offers the highest face recognition accuracy in the industry, conducting fast and large-scale searches in massive photo bases. Up and running since February 2016, the service has already proved its unique features in various projects. NTechLab co-founder Artem Kuharenko told Sputnik International about the unique face recognition technology he created together with his team. "Ever since my school years, I have been programming and participated in competitions related to this sphere. In the third year at the Lomonosov Moscow State University, I joined its Graphics and Media Lab, where I studied the machine learning and computer vision," the NTechLab CEO said. That is when Artem created a program, which could determine dog breeds by only one picture. The Android application called MagicDog could reveal all the essential information about the dog's breed, its average size, how long it lives and what character it has. "In 2015, together with my partner Alexandr Kabakov, we decided to establish our own company NTechLab for developing smart algorithms that can combine the experience of human intelligence and the high performance of a machine," Artem explained. Interested in technology of neural networks, they decided to work on recognition of people from photographs: "Together with a team of engineers, we have developed an algorithm that identifies a person from a photo. It can define a person's facial features, no matter what angle the photo was taken from or how the person's appearance changes because of aging, different facial expressions or wearing glasses." In an attempt to test their algorithm and compare with the results, NTechLab team took part in The MegaFace Benchmark 2015, a world championship on face recognition organized by the University of Washington. Despite tough competition, the NTechLab's technology was recognized the most accurate and took the first place in the competition. "Our opponents were more than 100 teams from around the world, including Google with their FaceNet solutions, developers from the Beijing University and other leading academic institutions. We did not expect to win," Artem Kuharenko said. "FindFace allows you to find a person and public information about him, as well as contact him through a social network account. All you need is a photo made on a mobile phone. The service defines a person in the photo in 0.3 seconds from a database of 250 million with an accuracy of more than 70%." With that, if the right person was not found, FindFace provides photos of similar people. This is what makes our service unique among modern dating services, the NTechLab CEO revealed. "FindFace is a kind of demonstration of our technology. We wanted everyone to be able to try it in action. Less than in three months, the number of service users exceeded one million people," Artem said. On October 18, NTechLab launched FindFace as a cloud service for businesses. "Now, any company in the world is able to integrate our technology into its business and search for its own database of any size." According to Artem Kuharenko, the service offers two basic operations: verification and identification. The first one allows comparing one face with another to identify if it is the same person or not. Identification is used to find a person by face in a pre-loaded gallery of faces. 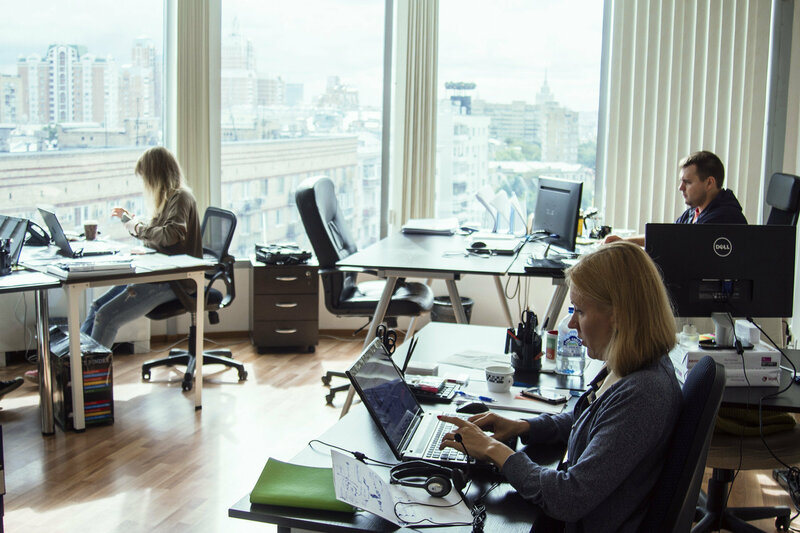 "The service is in great demand in many industries: from social networking and dating services to retail, banking and security systems," Artem added. NTechLab's new service FindFace can be used in security systems, for example, to find people on the wanted list. Interestingly, the novel technology was of good service during the Alfa Future People 2016 international festival held in Russia. Thanks to the FindFace, over 15,000 guests of the event were able to receive photos of them shot by professional photographers. All the pictures were sent to VKontakte users in real-time mode. According to Techrepublic.com, NTechLab is one of the top five most attractive Russian hi-tech-startups.